Once in a while, you have an urge to clean your stuff in the bathroom such as bathtub, toilet, and cabinets. Everybody knows how gross and disgusting a dirty toilet is, and no one would like to sit on there and release the “beast”. However, for people who don’t even clean their own bedroom, it is too much of a hassle to clean the bathroom. Here are some tips that can help you deal with your laziness. It’s not even easy but also very effective so if anyone who’s out there reading this post that doesn’t identify him/herself as a lazy person, you can go ahead and utilize these tips too! 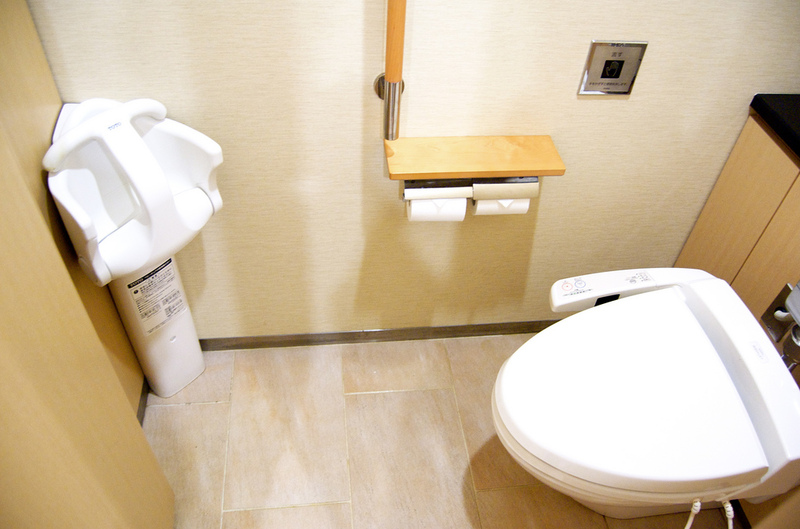 Cleaning the toilet isn’t most people’s idea of a good time, but where would we be without it? Brush up. A good bowl brush is a must. If yours is flattened or mashed, replace it; you need those bristles bristling to do a good job. Curved bowl brushes reach up and under the toilet, rim to scour away hidden deposits. Scrub up. If the toilet develops a stubborn ring that regular cleaning won’t cure, bring on the pumice stone! This natural stone is porous and crumbles. Rub the stone directly on the ring to remove the deposit. Disinfect. Use a disinfecting spray cleaner or all-purpose bathroom cleaner to spray toilet rims, seat, and lid, tank and bowl exterior. Be sure to check the label for the recommended standing time; antibacterial cleaning products require a certain amount of wet exposure to kill germs. Wipe clean and dry with fresh cleaning cloths. Drips and dribbles. These are a predictable hazard in a home containing boys — of any age — and can cause odor problems and floor damage if urine is allowed to stand at the base of the toilet. Use disinfecting cleaner and the cleaning toothbrush to rout out stray dribbles — or assign the job to the manly offenders. Toilet brush, that you just used to clean your toilet, that guy has a whole lot of germs on him. You can guess why. These surfaces need special treatment. Clean them with a nonabrasive cleaner such as an all-purpose bathroom cleaner, pine oil or baking soda. Avoid abrasive cleaners or scrubbing pads because they may scratch or dull the finish. Cloudy glass shower doors may be cleaned with full-strength white vinegar or a commercial lime and scale remover. Use good ventilation and protect skin and clothing when using these products. Soap scum, bath oil, hair products and body soil combine forces to assault the shining surface of the shower and tub, while tub rims, fixtures and faucets provide hiding places for moisture, mold and mildew. Put the job off and deposits harden and ossify, and mildew and mold take up residence in dark corners. Harness time and cleaning power to make short work of cleaning the shower and tub. Rinse clean. A detachable showerhead allows you to rinse off cleaner quickly and cleanly. If you don’t have one, stock your cleaning tote with a removable rubber showerhead that attaches to the bathtub tap. Commonly used for shampooing hair or bathing pets, they’re inexpensive and make it easier to rinse tub and shower walls after you clean. 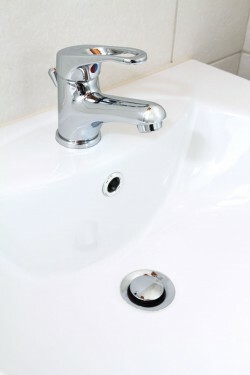 Those unsightly stains on your metal hardware, like faucets? You know them. They’re impossible to get rid of. Try scrubbing down the metal with…a lemon. Just a lemon. This all-natural trick will make your bathroom smell great and the acid in the citrus will break down any hard water stains. Right for the job. Use all-purpose bathroom cleaner to remove light soil and film. For more hardened deposits, abrasive or soft-scrub cleaners may be used, as they will be easy to rinse from ceramic (vitreous china) surfaces. Cleaners formulated with bleach will remove toothpaste dribbles and sanitize surfaces, too. Keep bathroom cleaning green by using homemade cleaners. They’ll make your bathroom sparkle and shine without harsh chemicals — or a harsh price tag. Learn cleaning shortcuts for making a bathroom shine with vinegar and baking soda. On the edge. Clean the rim and fixtures with a disinfecting spray glass cleaner or all-purpose bathroom cleaner. Buff fixtures shiny and dry with a fresh cleaning cloth. These are the 7 tips to clean your bathroom by yourself but if you have further assistance with the cleaning, you can contact your local cleaning professionals, such as Maids Around Town, for free online quotes, and get the help you need!